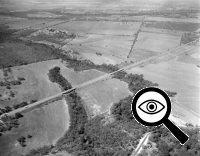 Below are historical photos of Interstate 37. 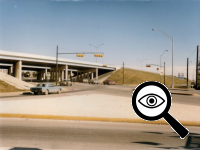 These photos were compiled from a number of sources including old San Antonio-Bexar County Urban Transportation Study (SABCUTS) planning documents, the TxDOT photo library, the San Antonio TxDOT district office, and the personal collections of the myself and of a former local Highway Department engineer. 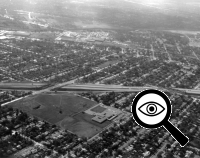 Locations are given using the present-day roadway names. 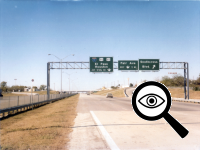 The photos are arranged from north to south. 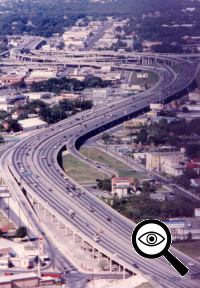 Click on each photo for an enlarged view. 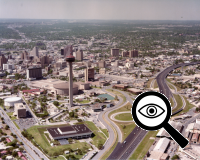 I-37 was one of the last spokes of San Antonio's freeway system to be built. 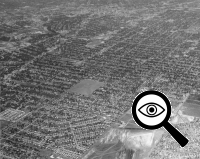 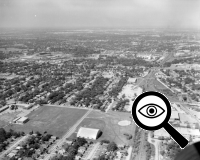 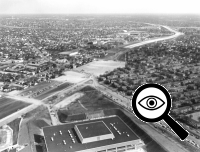 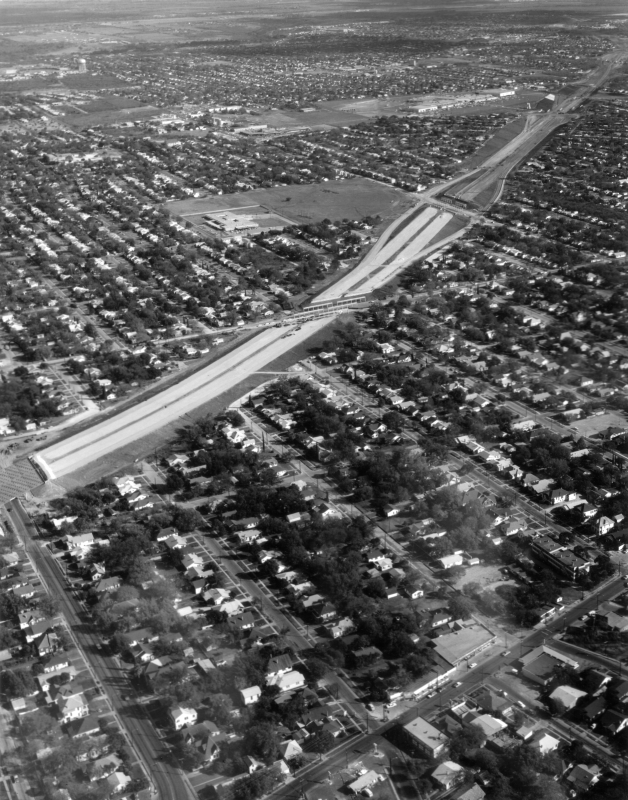 Although it was on the 1956 expressway plan, issues on routing it near Brooks AFB delayed construction until the mid '60s with the first segments from Carolina St. south to US 181 opening in time for HemisFair in 1968. 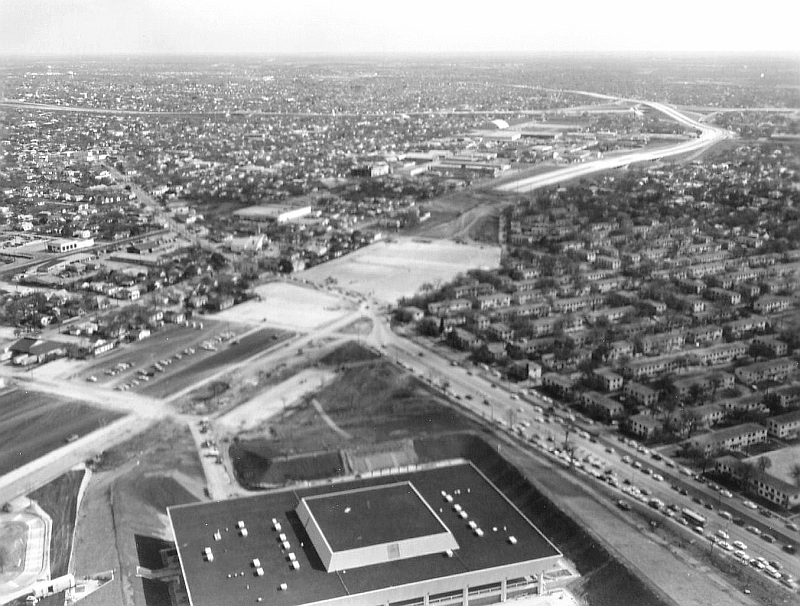 The section adjacent to the HemisFair site downtown was paved and used for parking for the fair. 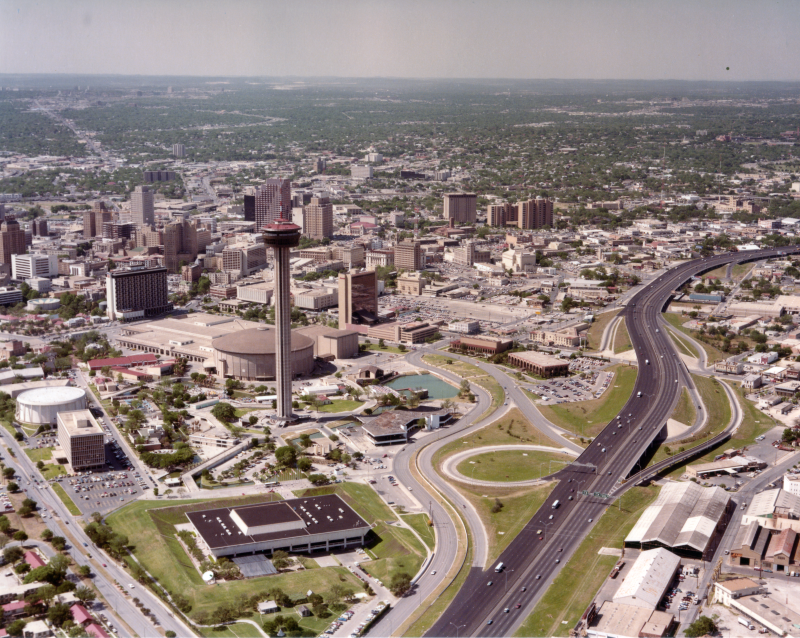 The remainder of the freeway downtown from Carolina to I-35 was completed by 1971. 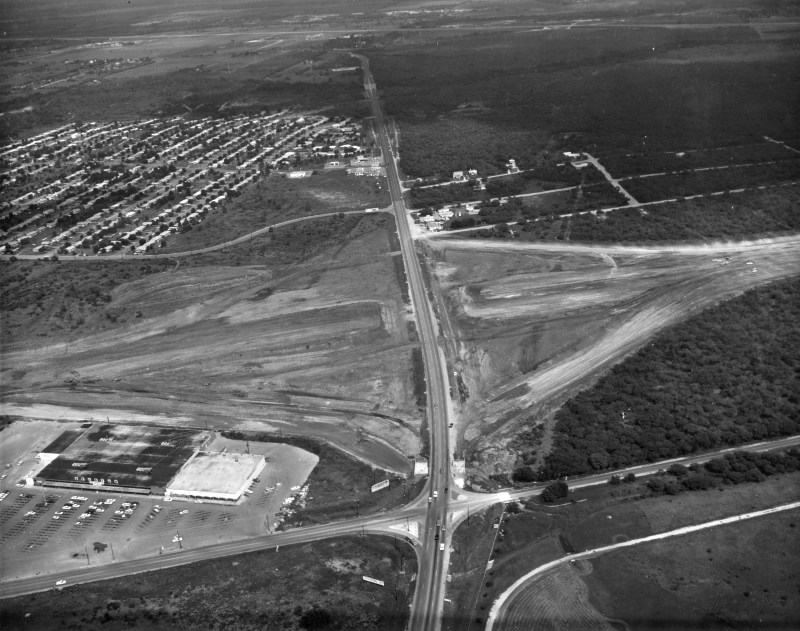 The freeway being built across the center of the picture is US 281 North. 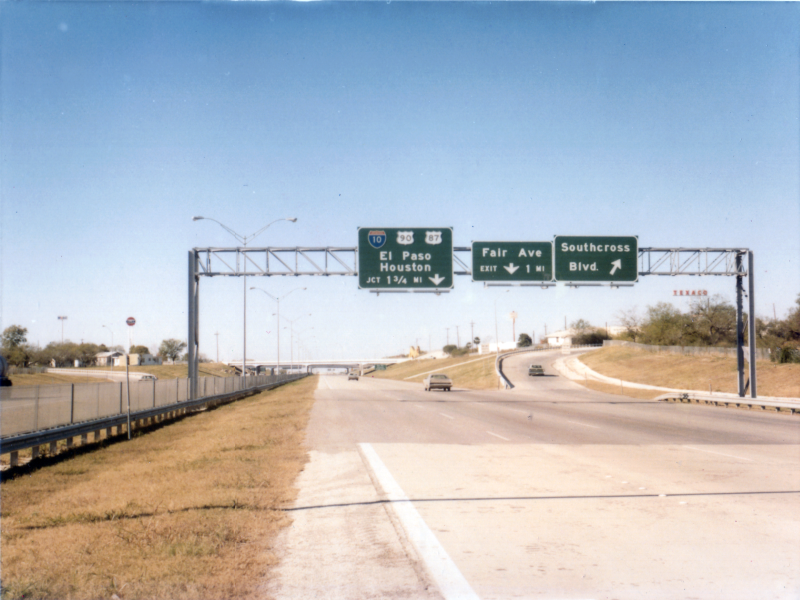 This is looking north along the northbound I-37 overpass just south of I-35, which you can see at the center left. 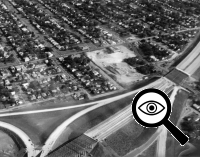 Just beneath this location you can see the future ramp from southbound 281 to northbound I-35. 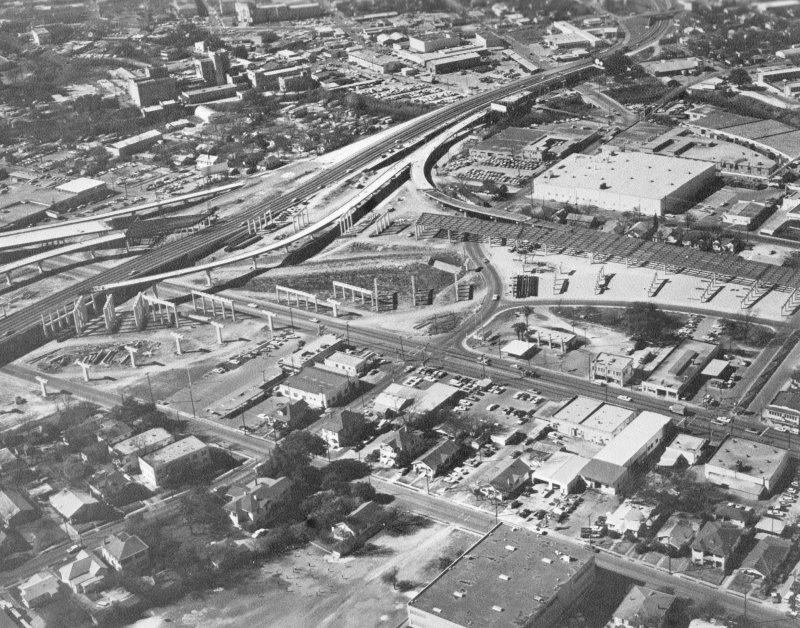 At the top left is the old Pearl brewery. 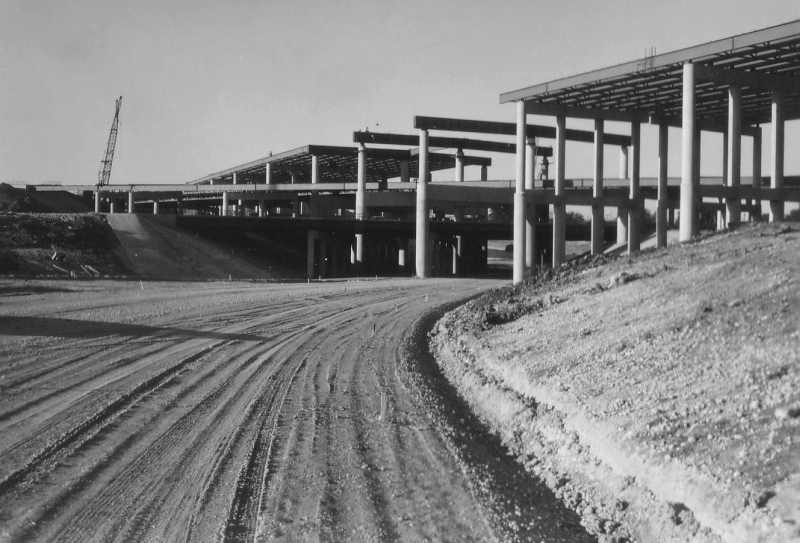 A view of the freeway and interchange at I-35 under construction. 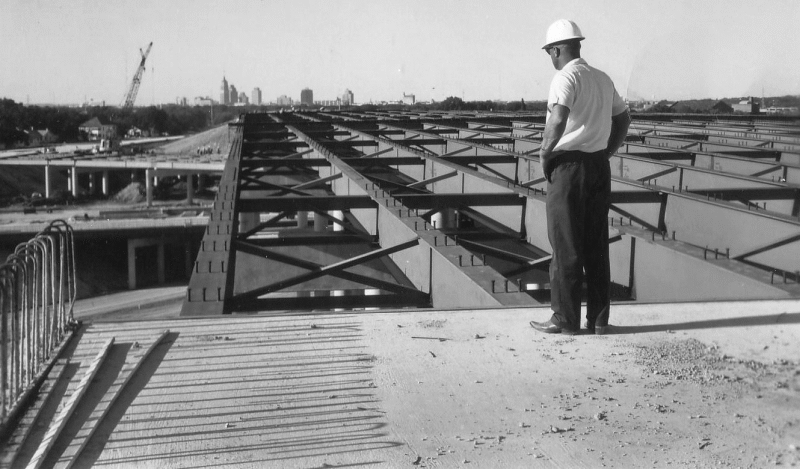 This photo was just a few days before the opening of HemisFair. 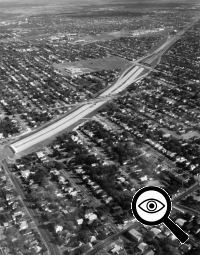 To the south, you can see the freeway abruptly ends at Florida St. Notice that north of Cesar Chavez, the I-37 right-of-way is paved to be used as a parking lot for the fair. 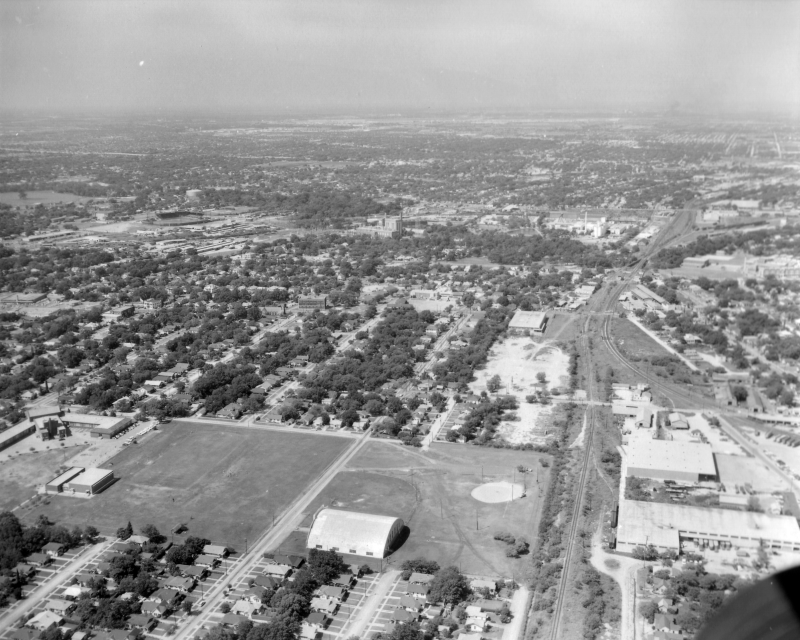 At the bottom of the photo is what was then the fair's Texas Pavilion, which today is the Institute of Texan Cultures. 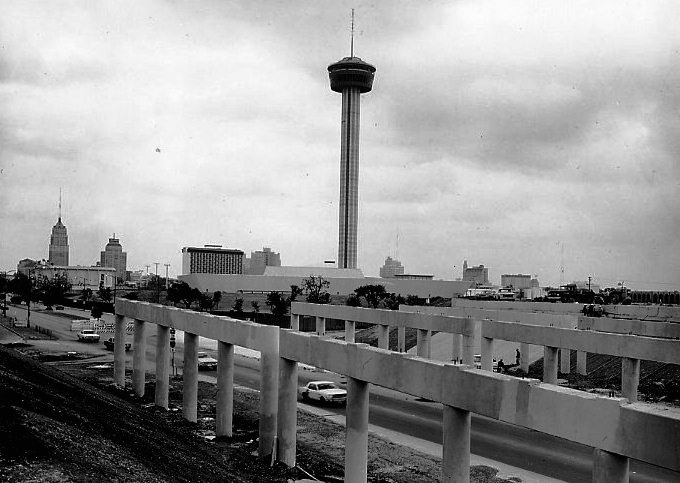 After HemisFair, work to complete the freeway through downtown got underway. 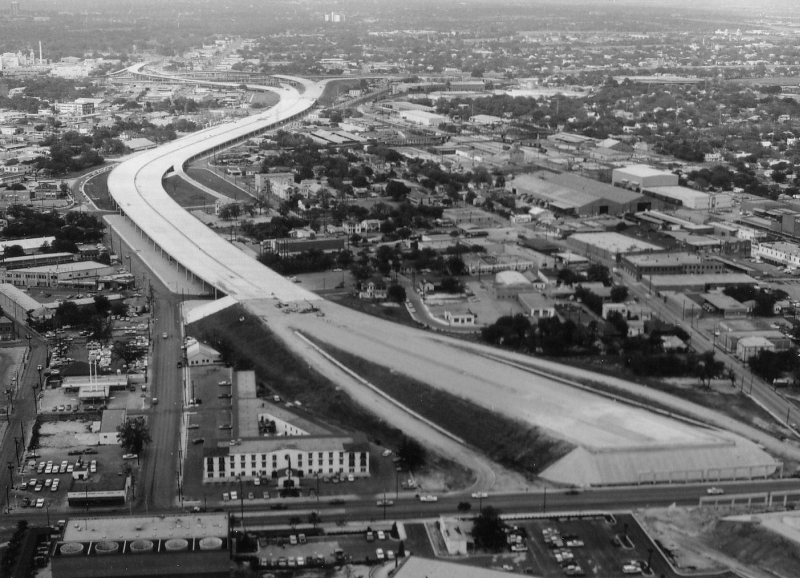 This is just north of today's I-37/I-10 interchange before construction of both freeways. 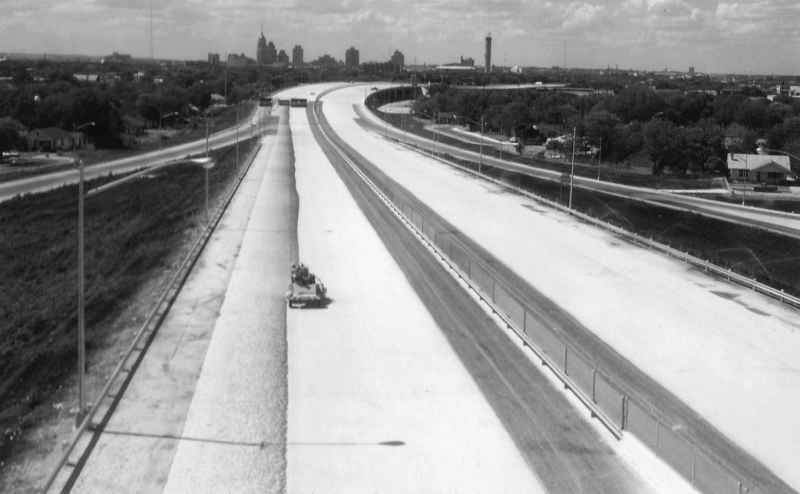 Looking north at the nearly completed freeway. 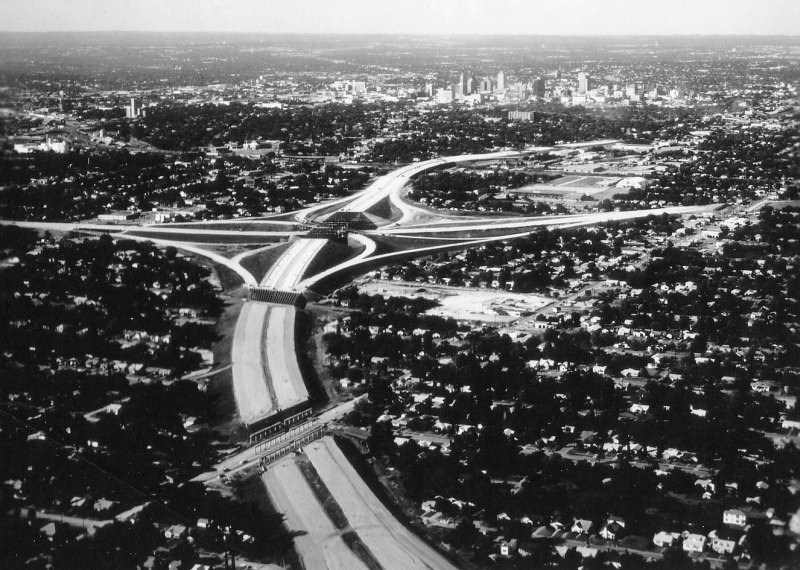 Virtually everything in the bottom half of this picture was demolished for the interchange. 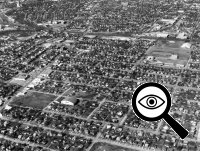 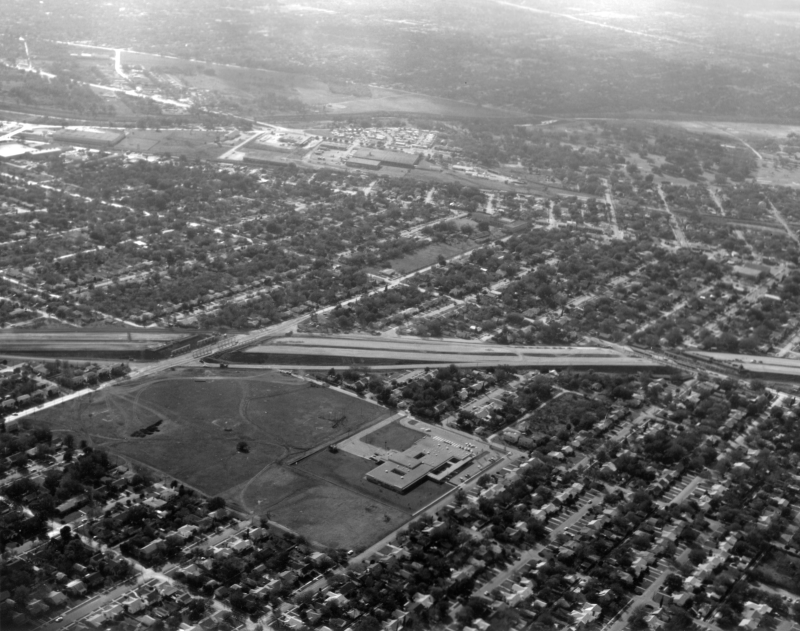 The long building at the middle-right of the photo is Page Middle School, which today sits on the northeastern corner of the interchange. 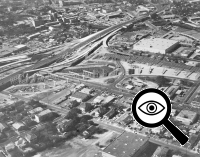 This is probably taken from the northeast corner of the interchange. 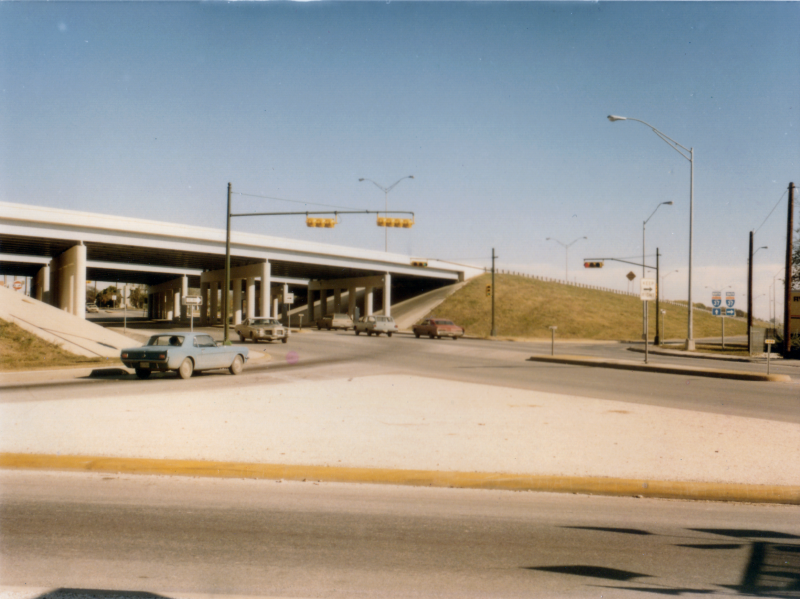 This picture shows the overpasses still under construction at Hackberry, Steves, and I-10. 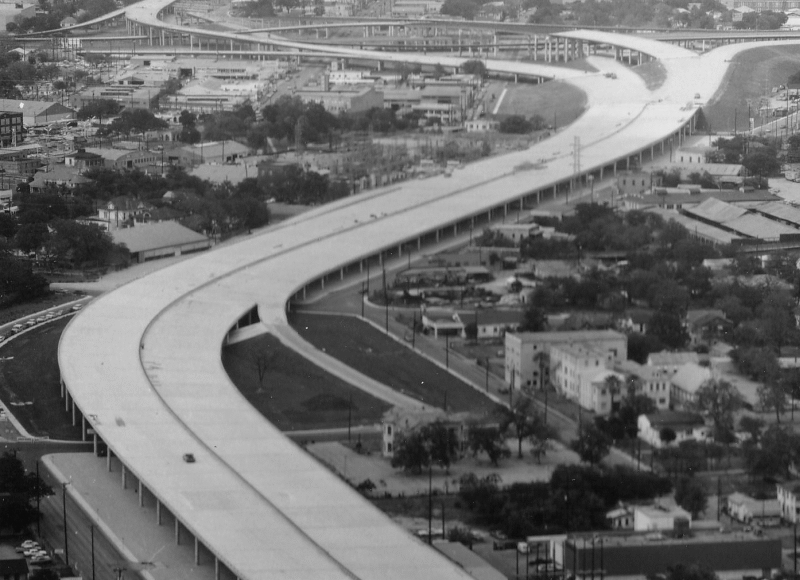 This photo shows the freeway in various stages of construction. 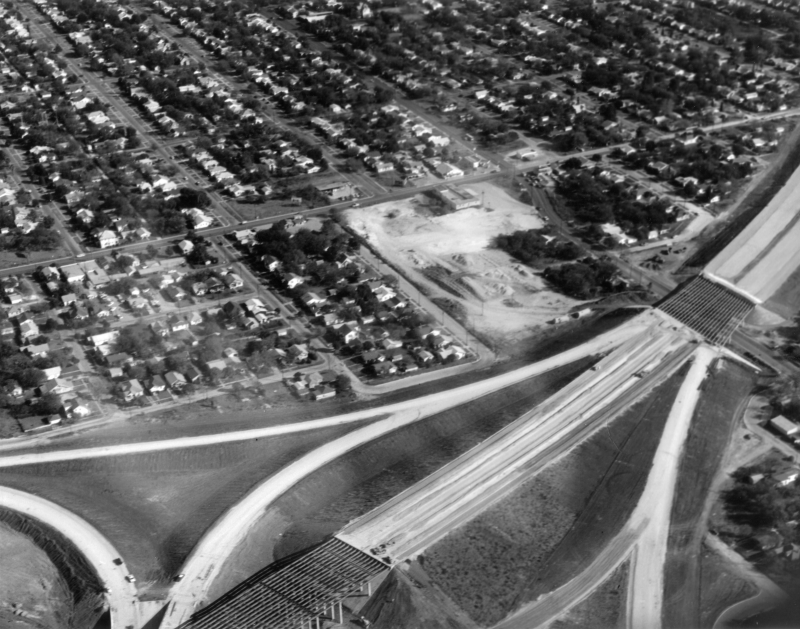 This picture shows the overpasses still under construction at Fair and Hackberry. 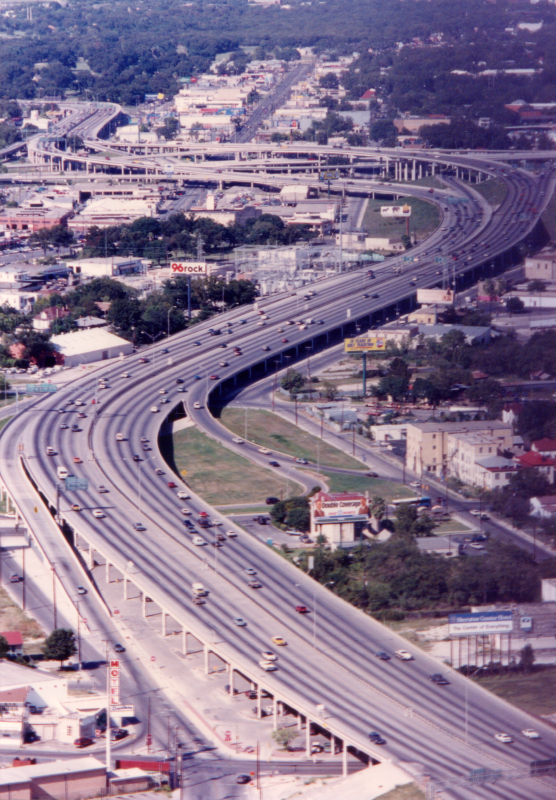 This is the future path of I-37. 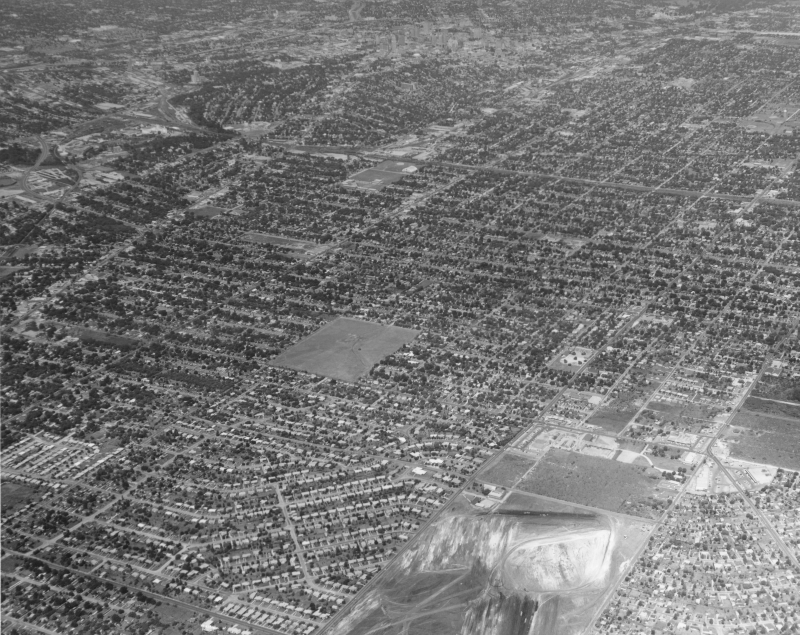 Land is being cleared for McCreless Mall at the bottom of the photo. 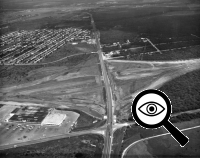 The freeway and interchange are under construction. 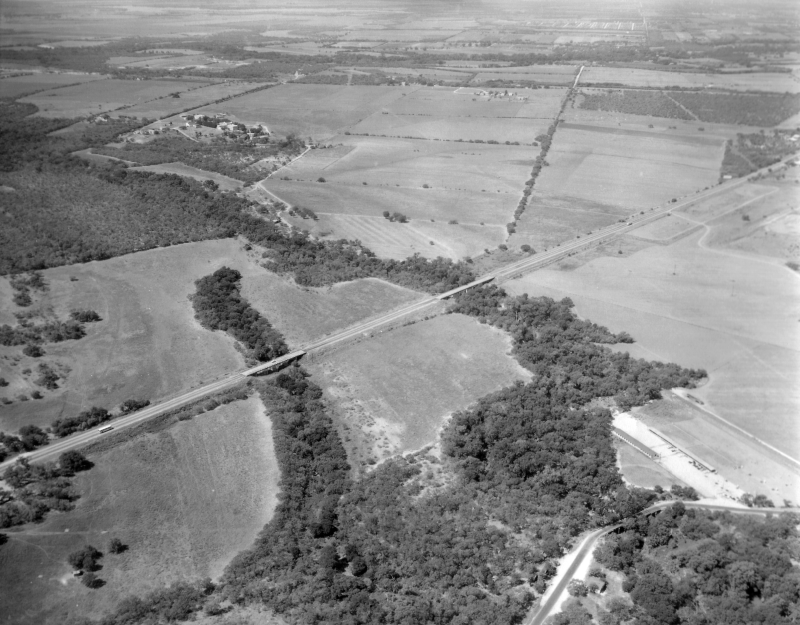 The road running through the middle of the photo is S Presa St. which was US 181 at this time. 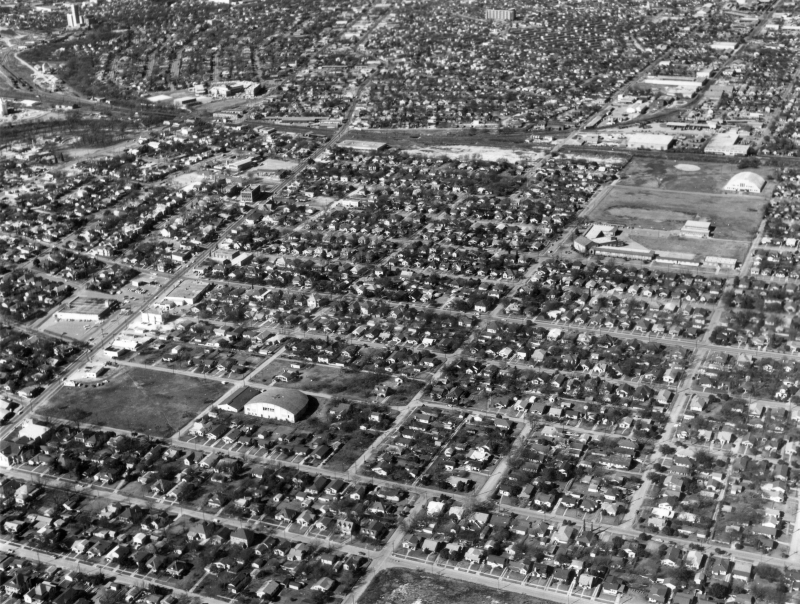 I-37 would be built across the bottom of this photo.